You might not have heard about cacao nibs before, but they are trending in the stores right now because they are very healthy superfood. ‘Nibs’ are essentially the smaller broken up fragments of whole cacao beans (which are typically roasted, ground into cocoa, and used to make dark chocolate). 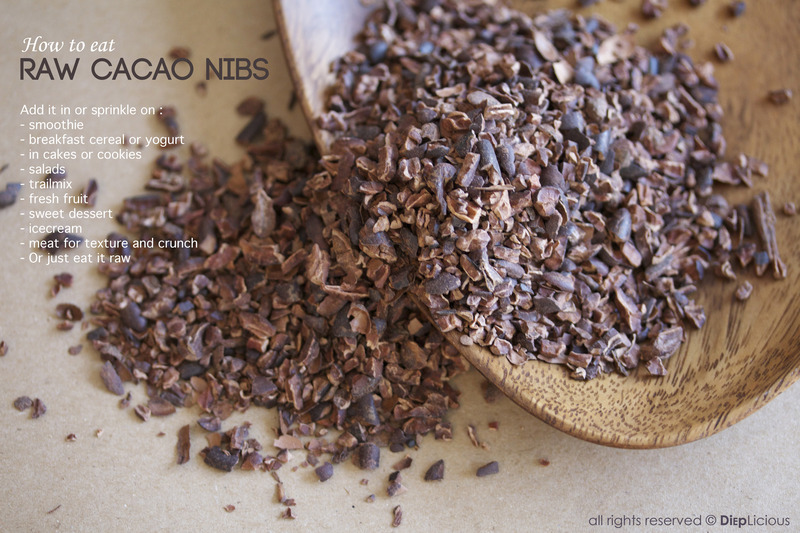 The nibs can be purchased raw or roasted, although the raw version is thought to be more healthy. Studies have shown cacao beans and nibs to have a higher level of antioxidant flavonoids than blueberries, red wine and green tea, and have also linked regular consumption to cardiovascular benefits, blood flow, and decreased blood pressure. Cacao is rich with fiber, iron, magnesium, and other nutrients, and has also been shown to be a mood booster and an appetite suppressant. Certain studies have linked a decrease in overall mortality to regular consumption of raw cacao. 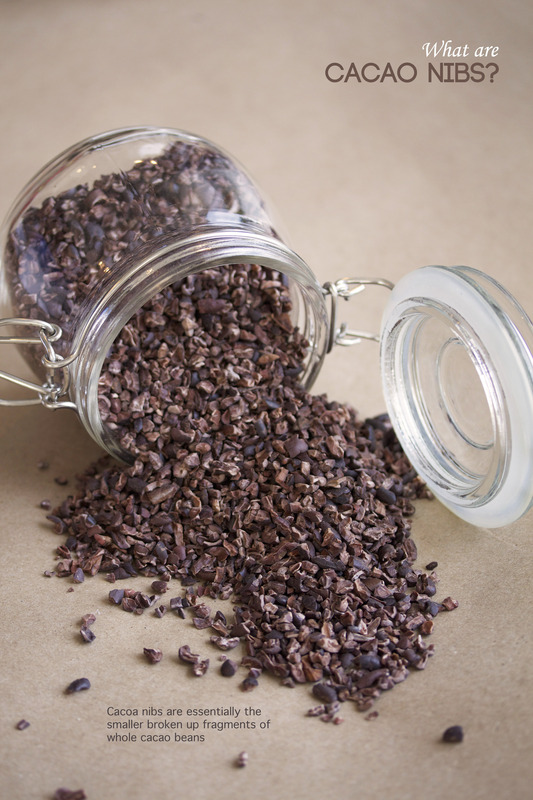 Since they are quite bitter when eaten alone, you can incorporate these crunchy cacao nibs into your smoothies, cereal, yogurt, cakes or cookies. Sometimes I eat them together with some nuts and dried fruit, or with a square of dark chocolate to naturally mask the bitterness.